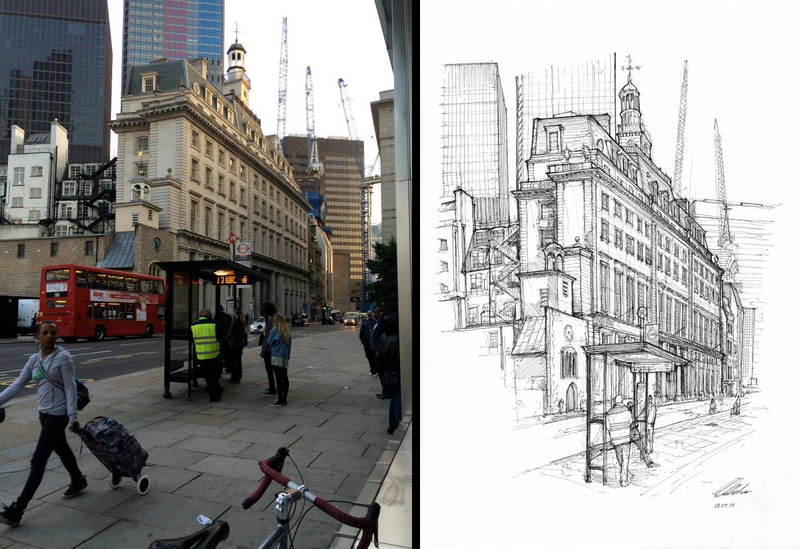 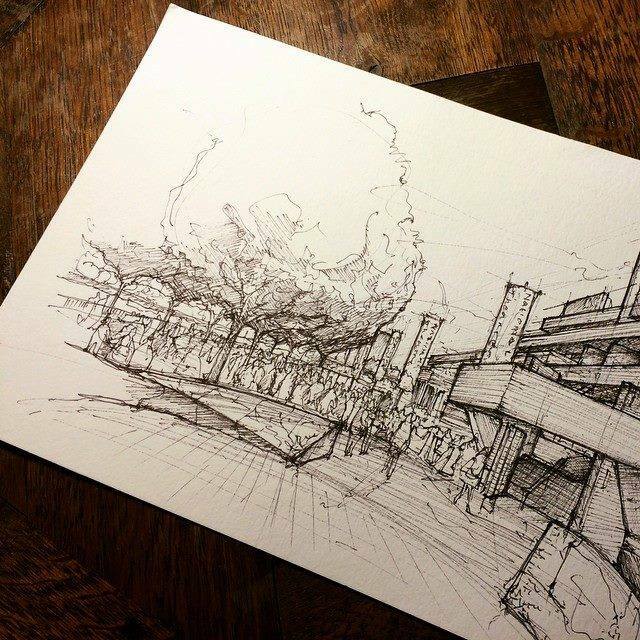 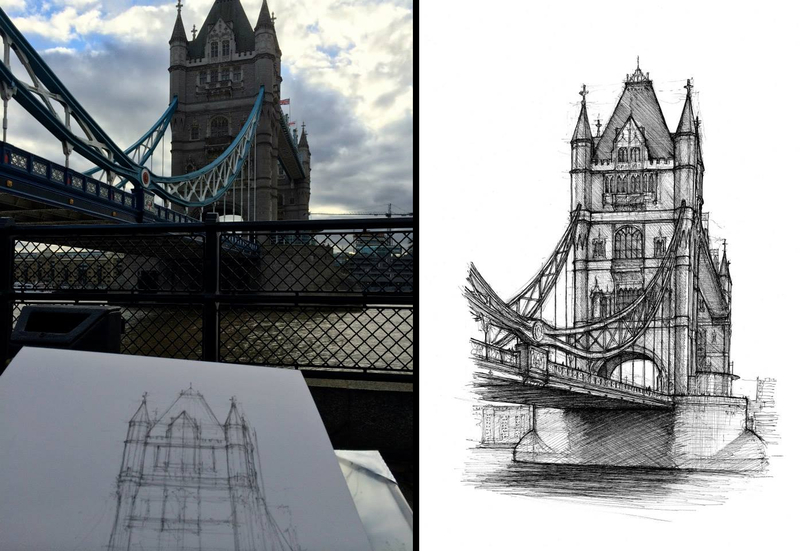 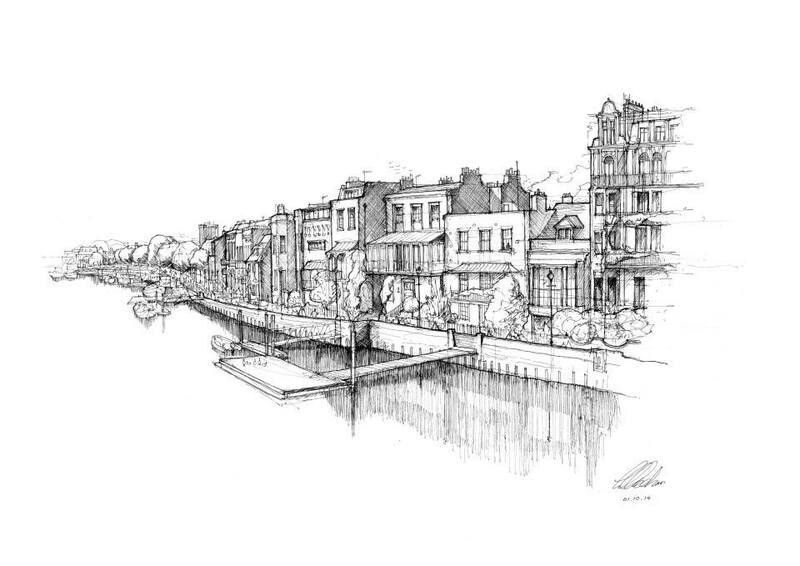 Designer, Illustrator with a background in Architecture, Luke Adam Hawker who lives in London, loves to draw different Architectural landmarks and points of interest, around the capital of the UK. 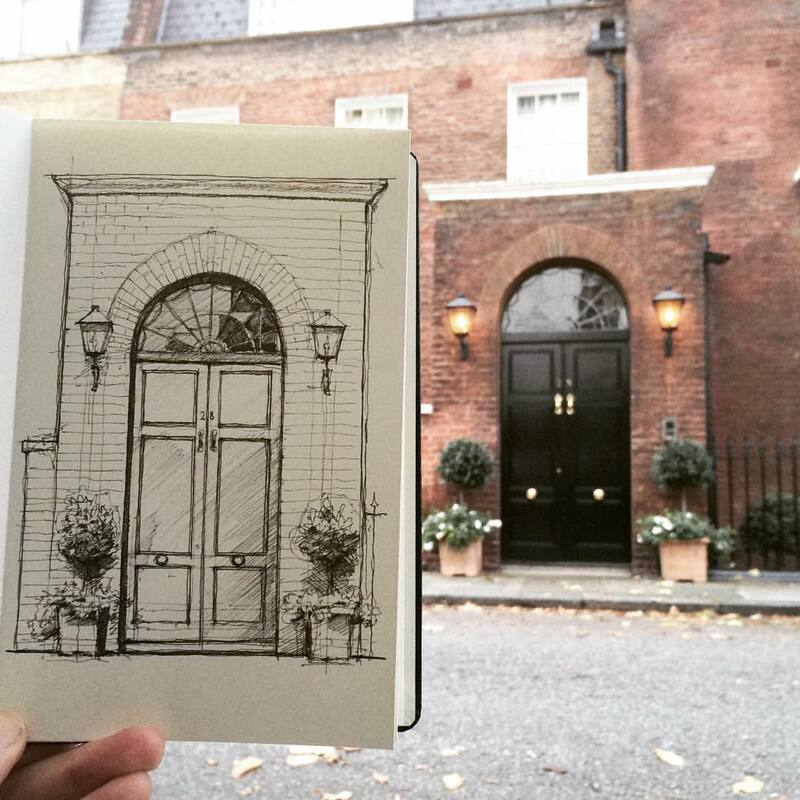 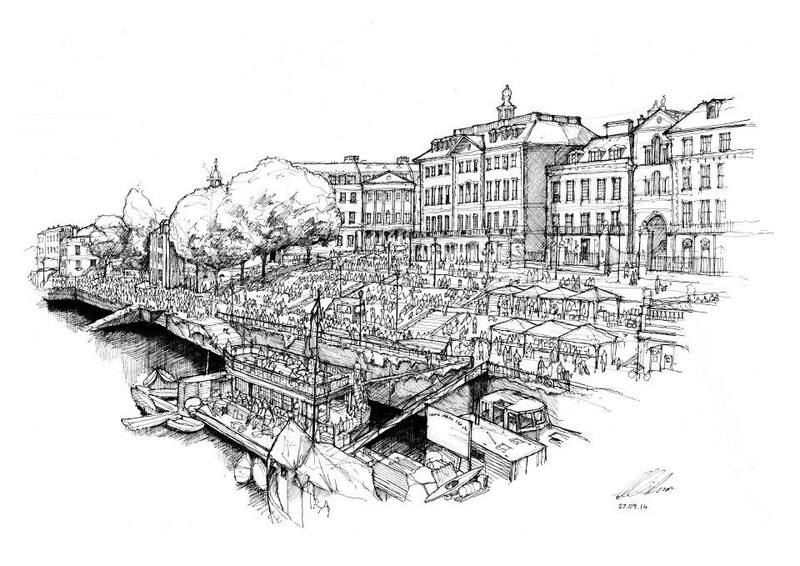 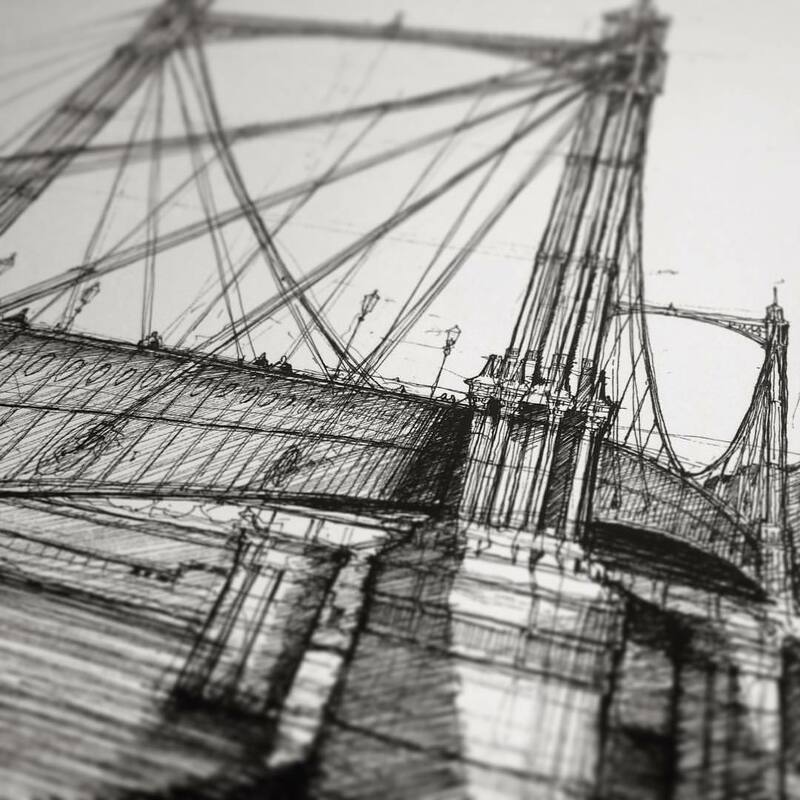 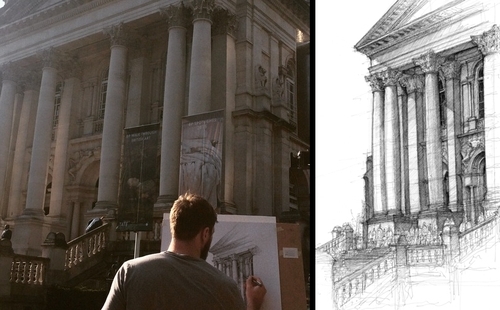 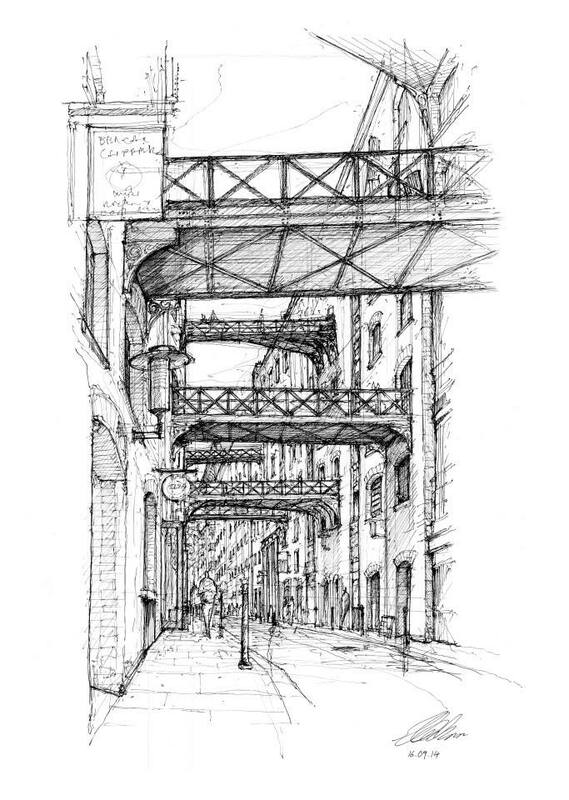 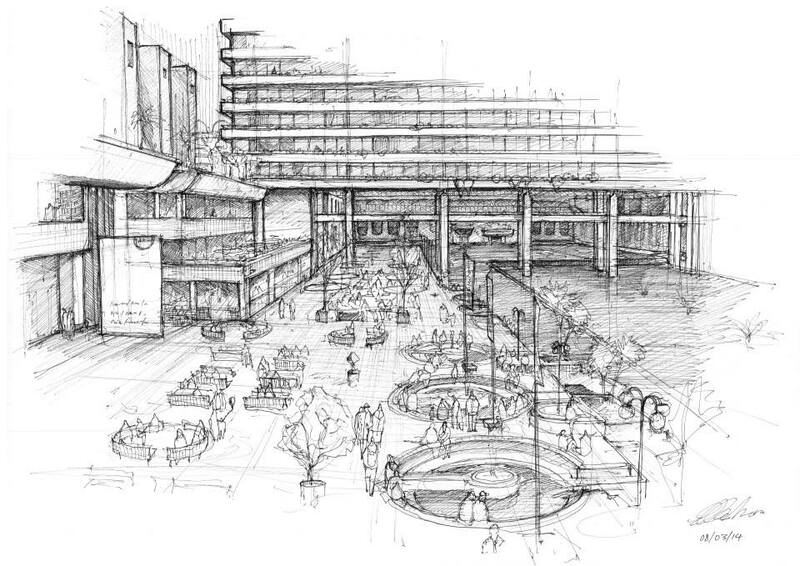 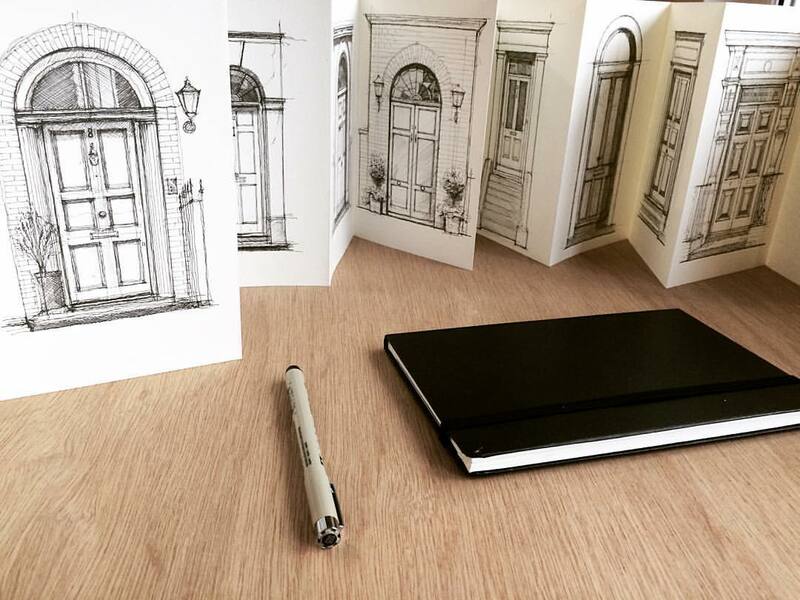 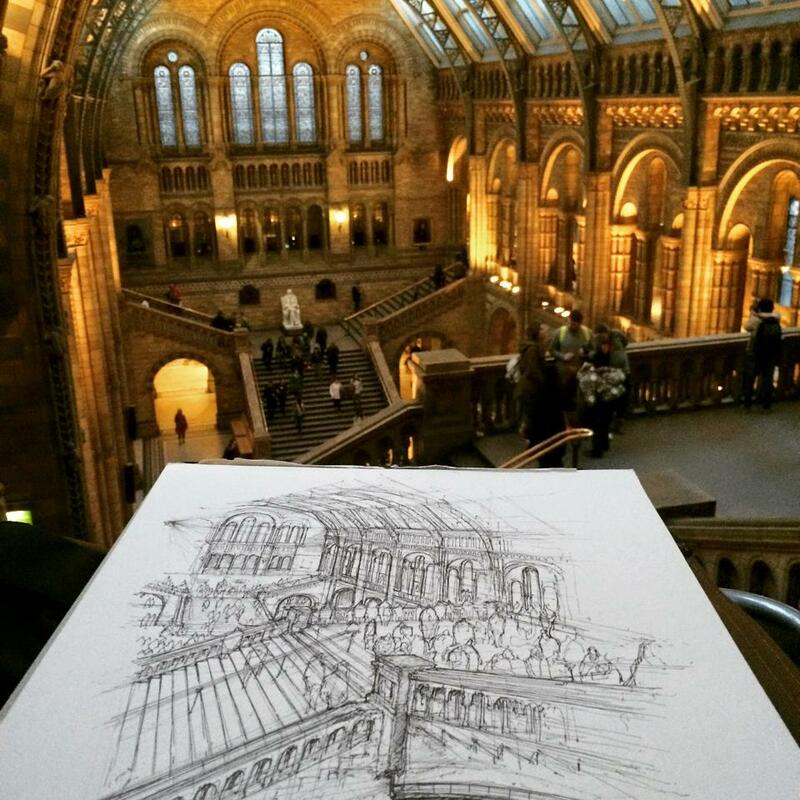 He actually creates his drawings on location with a pen and ink. 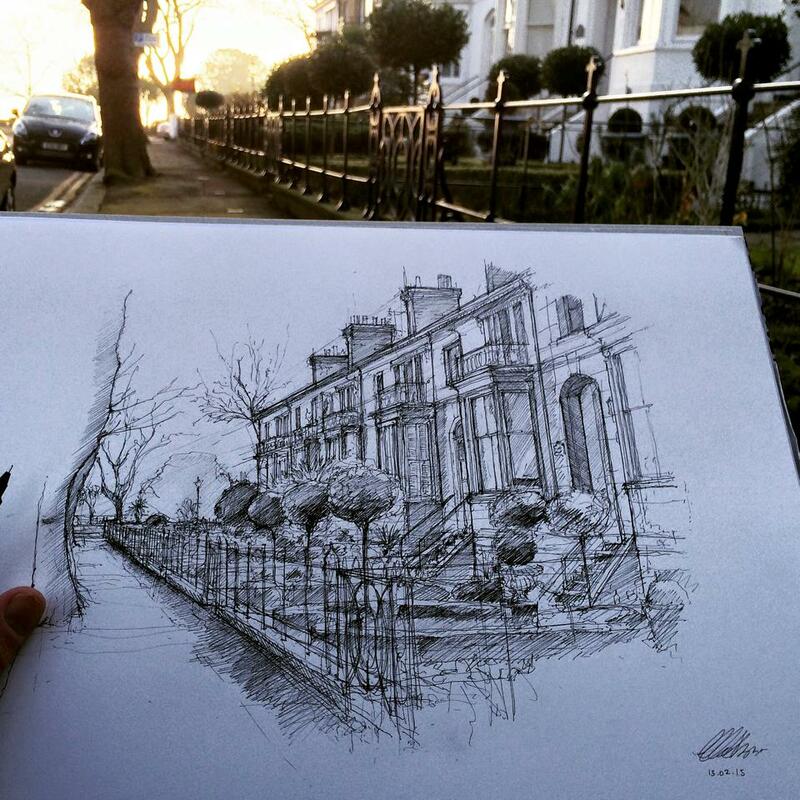 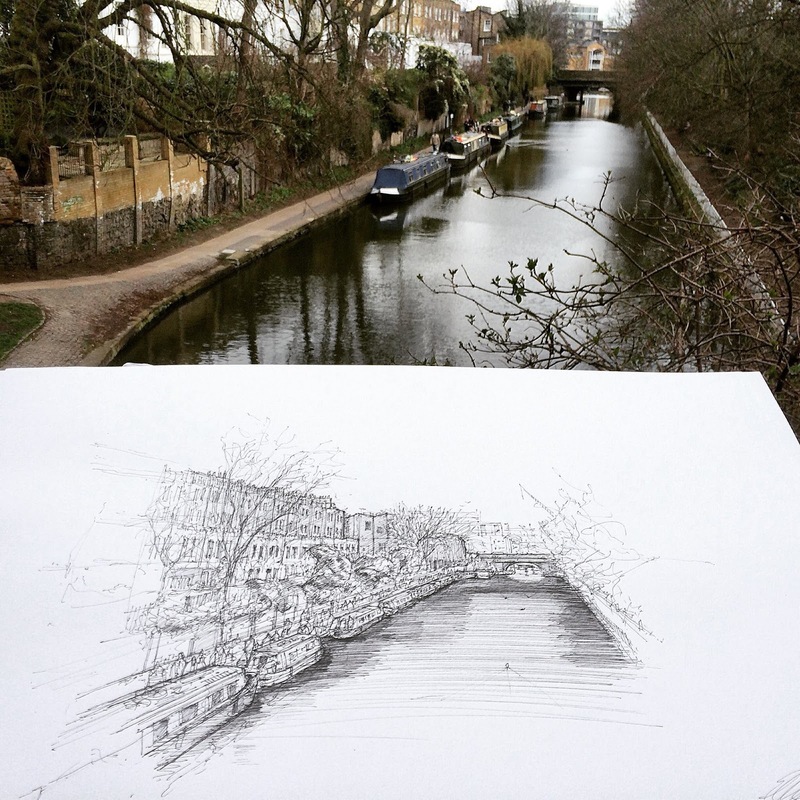 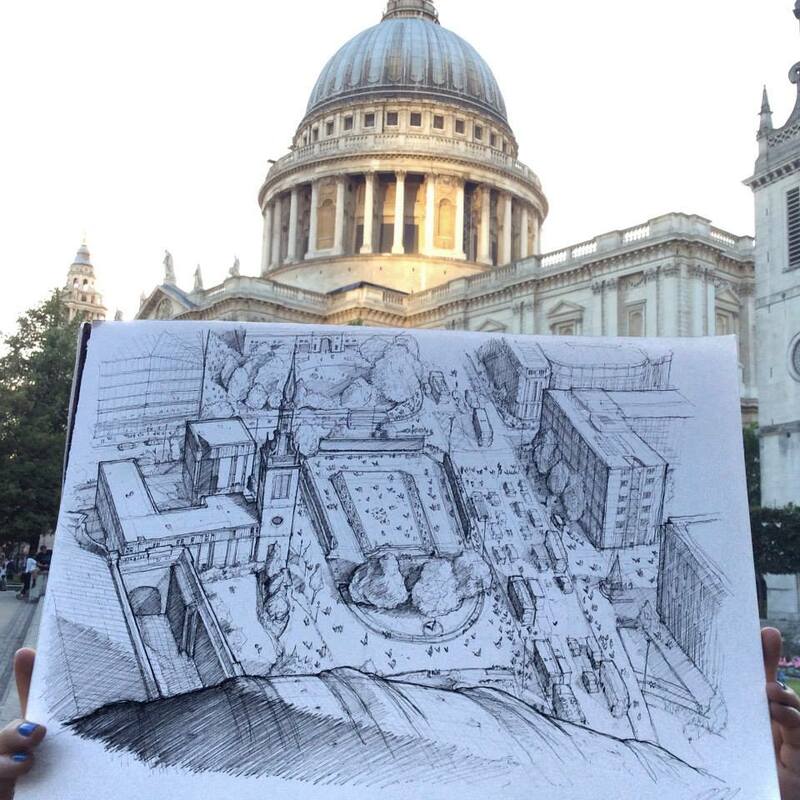 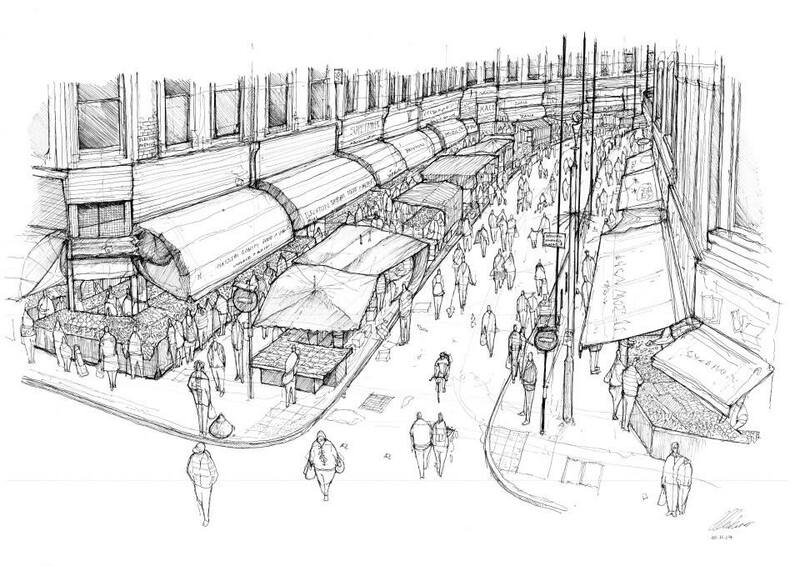 The wonderful thing is that he takes pictures of the places he draws, so we were able to put them side by side, that enables us to see how Hawker interprets the images that we see on a daily basis that we maybe take a bit for granted, not noticing the details of our surroundings, any more.